Phytelligence, a leading agricultural biotechnology company that is revolutionizing the way food crops are grown, is proud to announce that its founder, Amit Dhingra has been promoted to professor of genomics and biotechnology in the department of horticulture at Washington State University’s (WSU) College of Agricultural, Human and Natural Resource Sciences. 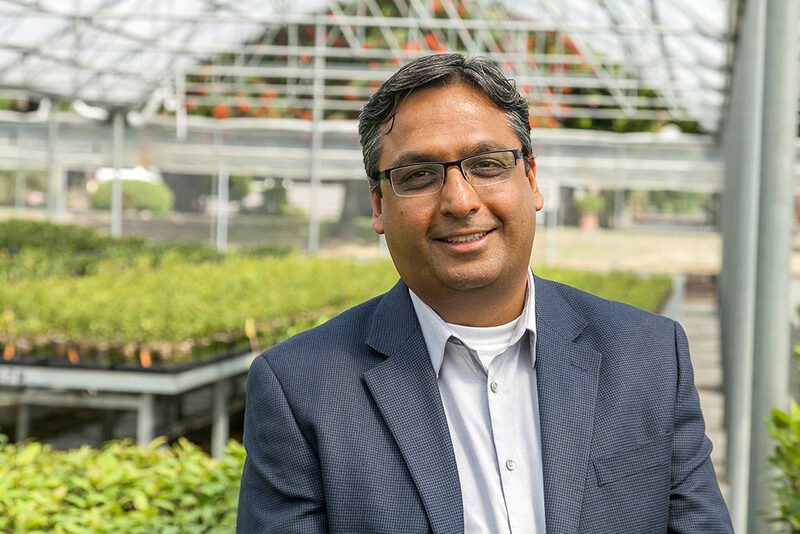 Amit will remain Phytelligence’s chief science officer and continue driving innovation and discovery in horticulture. Amit has been a valued member of WSU’s faculty for the past 12 years. He joined the university in 2006 as an assistant professor and was promoted and received tenure in 2012. Most recently, he held the title of associate scientist and associate professor of horticulture genomics with the university. Promotion to a full-time professor demonstrates Amit’s expertise and the confidence his colleagues and university administrators have in his ability to embody WSU’s mission. The promotion also presents added expectations for scholarship and leadership opportunities. In addition to his role as a professor, Amit is deeply involved with the university as a chairperson in WSU’s Entrepreneurial Faculty Ambassadors program, member of the Provost Leadership Academy and Graduate Mentor Academy, member of the graduate faculty in four graduate programs including the NIH Protein Biotechnology Training program, Molecular Plant Sciences Graduate program and the Horticulture and Master of Science in Agriculture program. Amit also serves on various departmental, college and university committees and coordinates two undergraduate research programs: one for Native American students and the other in the area of plant genomics and biotechnology. Amit has received numerous awards and honors throughout his 12 years with the university, including the National Council on Undergraduate Research Biology Division Mentor Award in 2017, Favorite Professor and Influential Faculty Recognition by the undergraduate students in the College of Agriculture, Human and Natural Resource Sciences in 2016 and 2017, WSU Entrepreneurial Faculty Ambassador in 2016, Outstanding Thesis Advisor in the Honors College in 2014. He was nominated to the university’s Provost Emerging Leader Faculty Member program in 2011, was a Featured University Faculty at WSU’s Innovators Series Lectures in 2008 and received the Undergraduate Research Excellence Award in the College of Undergraduate Education in 2008.